I expect groups of two or three per project. The deadline for submission is the scheduled time of the final exam. This will constitute 20% or your total grade. Your final project must be typeset; I encourage you to consult with me through the semester in terms of how it looks and its contents. What I expect is a paper where you explain the topic, and present its history and a few results on it with complete proofs. Work out a few examples. If relevant, do some numerical simulations. List all the references you consult. (Of course, do not plagiarize.) Some of the topics may end up being too ambitious, and if that occurs, let me know. In that case, it would be better to restrict your presentation (to some aspects of the topic at hand) rather than trying to be comprehensive. I’ll give you a list of references you may find useful once you pick your topic, but of course if you find additional references, use those instead. J. Giudicelli, Ch. Kelly, and J. Kunz. S. Burns, C. Fletcher, and A. Zell. A. Nelson, H. Newman, and M. Shipley. M. Mesenbrink, and N. Stevenson. This set is due Feb. 8 at the beginning of lecture. Of course, let me know if more time is needed or anything like that. I don’t know how I didn’t know about this. The above is the letter presenting the resignation of the editorial board of Topology, an Elsevier journal. The journal has been discontinued as of this year. […] As you are well aware, the Editors have been concerned about the price of Topology since Elsevier gained control of the journal in 1994. […] The journal Topology has an illustrious history with which we, on becoming editors, were extremely proud to be associated. […] However, we feel that Elsevier’s policies towards the publication of mathematics research have undermined this legacy. 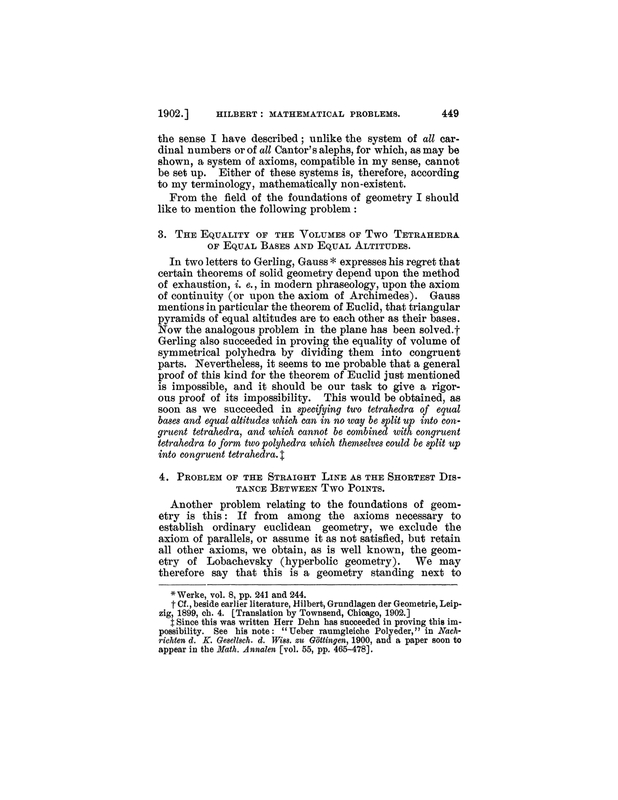 On Google+, David Roberts gave a link to the journal’s site, with some highlights: As you can see here, the last published issue (vol. 48, 2-4) was June-December 2009. The previous issue was 40 pages and consisted of 2 papers (that you can purchase access to, at $31.50 each. Plus tax.) And there is also a supplement, published on December 2011. Only $31.50 (plus tax) for a 4 page correction. For some context, see this blog post by Tim Gowers and this page. This homework set is due Wednesday, February 1st, at the beginning of lecture, but feel free to turn it in earlier if possible. 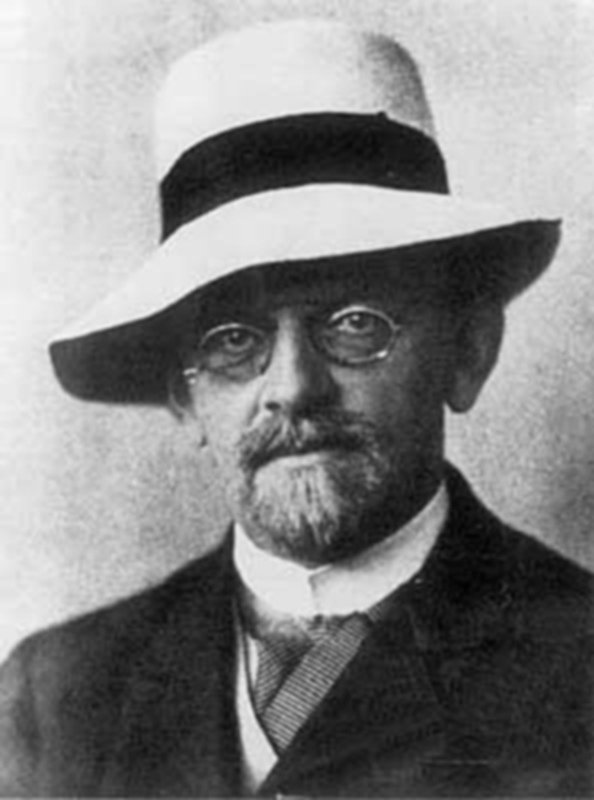 Today is the 150th anniversary of Hilbert’s birthday. Hilbert is one of the mathematicians I admire the most. I believe I first learned about him while in High School, through “Higher Geometry” by N.V. Efimov. My copy of Reid’s “Hilbert” is one of the first books I bought when I arrived in the States (in 1997). Here is a link to the reprint in the Bulletin of the AMS of Mathematical Problems. I would love to have a poster sized copy of the picture above. Springer sold them years ago, but now they seem impossible to find. 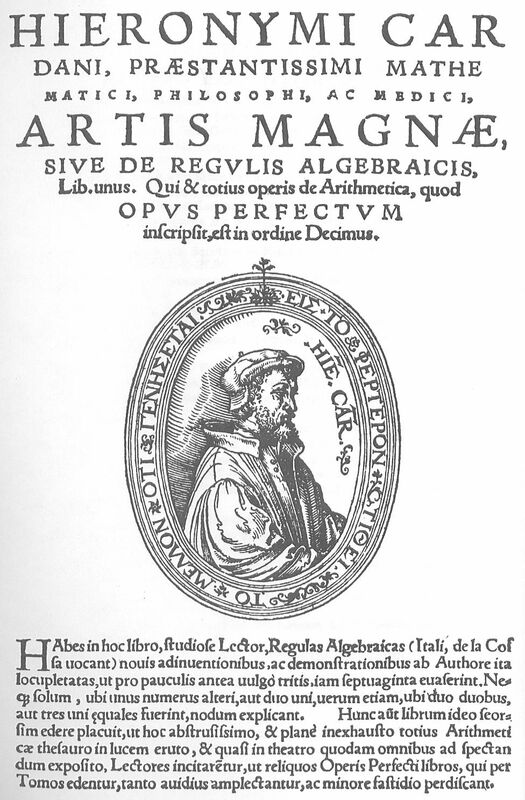 Ars Magna, “The Great Art”, by Gerolamo Cardano. You are currently browsing the A kind of library blog archives for January, 2012.